Our caring teachers. Celebree School of Annapolis has a team of toddler child care educators who are dedicated and highly trained, yet also warm and nurturing, as well. 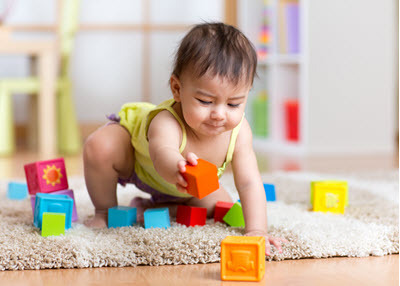 Each day, they’ll guide your child through many different developmentally appropriate activities in a way that’s both stimulating and enjoyable. Our fun and educational programming. Our early childhood curriculum is a well-rounded one that will enable your toddler to achieve important milestones through what feels like play to them. It focuses on the development of critical areas – including language, literacy, math and science skills – through engaging activities, like circle time and hands-on projects. We also place an emphasis on positive social skills, good self-care habits and healthy eating. Our partnership approach. With Celebree School of Annapolis’ toddler child care program, we encourage ongoing and open communication from parents like you. We want to maintain a schedule that’s most comfortable for your child, which is why we ask that you let us know about eating and sleeping patterns, as well as to provide us with any special instructions. Our regular reports. You’ll get daily reports from your toddler’s teachers on activities including napping, eating, diaper changing and more. On a quarterly basis, we will also provide you with progress reports so you can keep track of your son or daughter’s growth. Celebree School of Annapolis: Sign Your Child Up for Toddler Care Today! At Celebree School of Annapolis, we’re setting the standard for excellence in toddler child care. Not only will your son or daughter be in a special place where they’re welcomed and thriving, but they’ll also be well-prepared as they enter into the pre-school and kindergarten years ahead. We’re a launching pad to success, one you and your toddler both will love. We invite you to call (410) 571-5418 to schedule a visit at Celebree School of Annapolis MD and learn more about our toddler child care program.